After celebrating our 1st year of geocaching on 26th August by managing to reach the grand total of 365 finds in the eleventh hour during the wettest August day in centuries, we really wanted to visit The Ridge series at Chillerton which we had put on hold until the weather improved. Chillerton is a very small village almost in the middle of the Isle of Wight, between Newport and Chale and is in the centre of a farming community. The series involved a walk of just over 2 miles starting in Hollow Lane on the Shepherd’s Trail where it travels south up to Berry Hill, the highest point of the walk being at 130 metres. The views are magnificent and cover well over half of the Island, from St Catherine’s Oratory (also known as the Pepperpot) and Chale Bay in the South-West, to the mainland across the Solent, beyond Cowes in the North. The 27th August was overcast but very warm and no rain was forecast so we drove the few miles to Chillerton, parked on the main street and soon found the footpath leading away from the road and up towards The Ridge #1. The going was good to firm (I sound like a blooming horserace commentator!) considering the amount of rain that had recently fallen. We found the cache fairly easily and then understood the hint “Between 10 to 100 years is the length of my life in nature environment, even on the ground”. The 35mm film canister was attached to what many would just chuck out and litter the countryside. A very good point made. We continued up the footpath and were half-way to The Ridge #2 when I realized that we hadn’t collected the bonus clue from the previous cache. 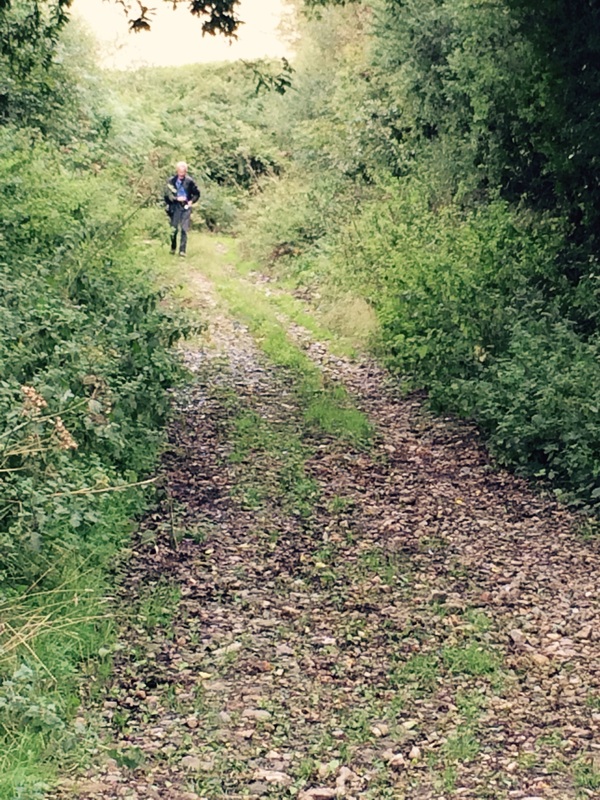 We backtracked pretty quickly thankful that we hadn’t gone too far, and soon had the clue in hand. 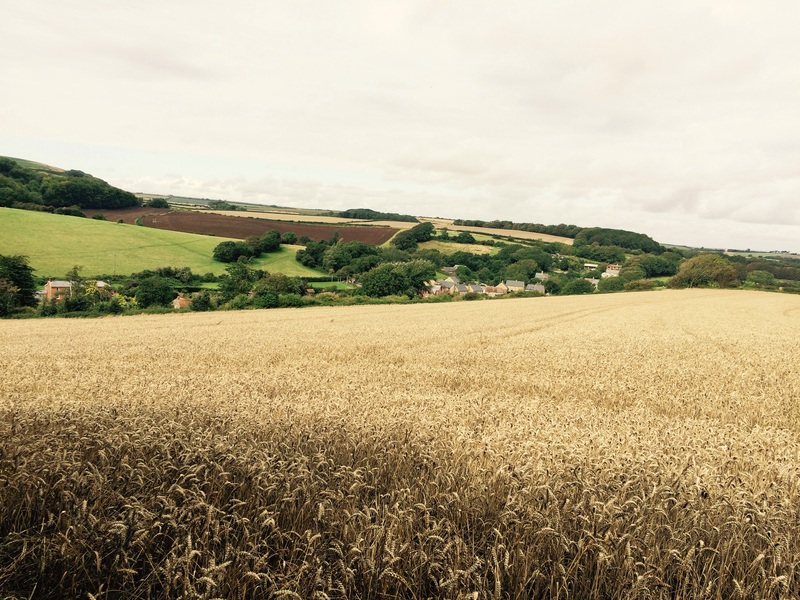 The hint for #2 was perfect – Lazy Oak – the most perfect place to take a rest and admire the stunning scenery. We didn’t bother to check why but The Ridge #4 seemed closer than #3 so we headed downwards towards it. Had we read the hint for #3 I probably wouldn’t have had Cockrobbinn singing “If you take the high road, and I take the low road……” but never mind. We trudged downward passing some very dilapidated looking structures and eventually reached GZ for #4. We were on a footpath with very steep sides. Cockrobbinn felt sure the cache was at the top of the right-hand bank and he decided to climb, crawl and pull himself up. I think he had forgotten just how much rain we had recently had as a few minutes later he arrived back at the path with an extremely wet and muddy bum having slid all the way down. Unfortunately I was a bit slow with the camera and missed a good shot. What really annoyed him was when I approached the other side of the path and almost straight away spotted the cache with no climbing involved! For the next few hundred yards Cockrobbinn decided to have the hump and trailed well behind me. He soon got over his strop though and started singing…. After getting back on track and finding where The Ridge #3 was, it showed our ignorance a bit as we were supposed to find an Ash Tree but we weren’t sure what an Ash looked like ! The cache was at eye level and we eventually spotted it but it took quite a bit of balancing, stretching and swearing to grab the canister, twist off the lid and extract the log as the cache was secured on the tree, the tree was leaning out of a bank and the log had to be removed in situ. We managed and with Cockrobbinn holding on to me I got the log back and screwed the container shut. Might have been easier if I had sat on his shoulders !! This was the ideal time to add an extra cache in – namely Down….Under the Ridge which was only a few hundred metres downhill from #3. Quickly found, signed and replaced, we then started the slow uphill trek as we had been walking down off The Ridge and needed to get back up on top. The log for the Ridge #5 cache was hidden in a most appropriate container for the area – a cartridge case which was enclosed in a tin. Perfectly watertight but hanging a bit out of the way and quite difficult to open. We were now walking alongside beautiful fields of barley and there is something quite magical about stopping every few minutes to eat a few more juicy succulent blackberries. The Ridge #6 was supposed to be at eye-level but I think it must have been placed by a VERY short person. However, to make up for it the views here were magnificent – all around the island. The Ridge #7 was the most difficult of all to find and at one stage, we thought we might be unsuccessful especially as the last log was a DNF. However we eventually discovered it further away than first thought. Now for the bonus cache. We were heading back towards Chillerton and came across the bonus quite quickly. I don’t know why, but I was expecting a bigger, more appropriate cache than the little cliptop box we found by a post. Perhaps it was the build-up of finding all seven caches to enable us to get to the bonus – a bit like the build-up to Christmas then it can go a bit flat – but nevertheless we were successful with all caches and it was a really beautiful walk up, over and around The Ridge. 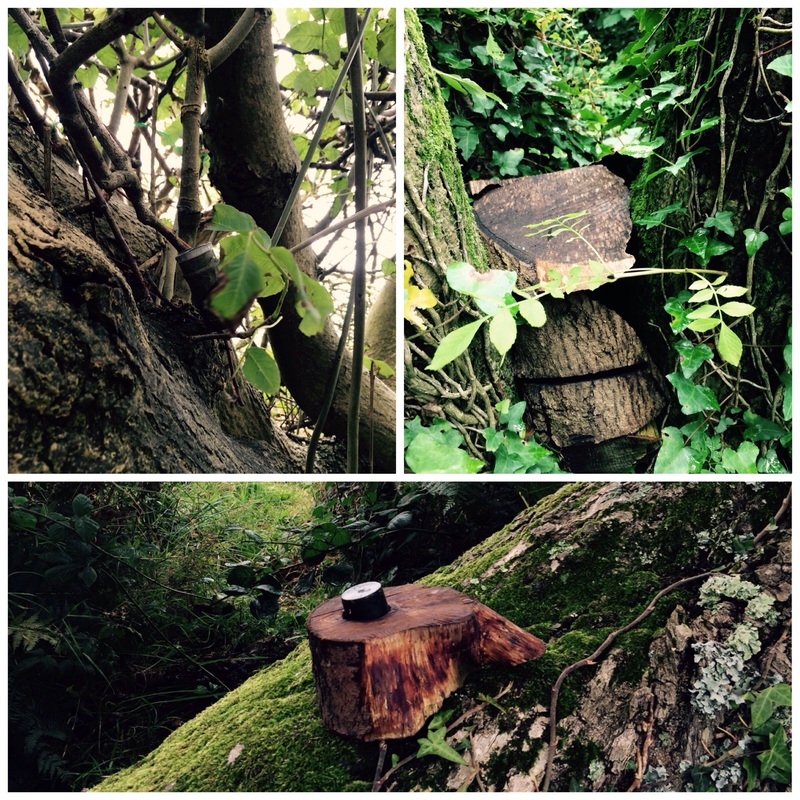 Below are a few of the caches we found (not in any order as we don’t want to give the game away). 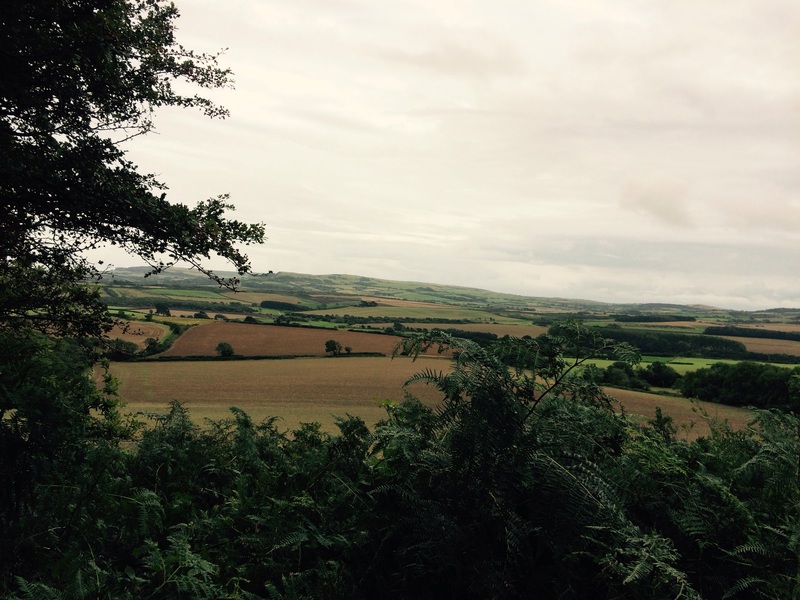 This caching adventure took place on 27th August 2015. 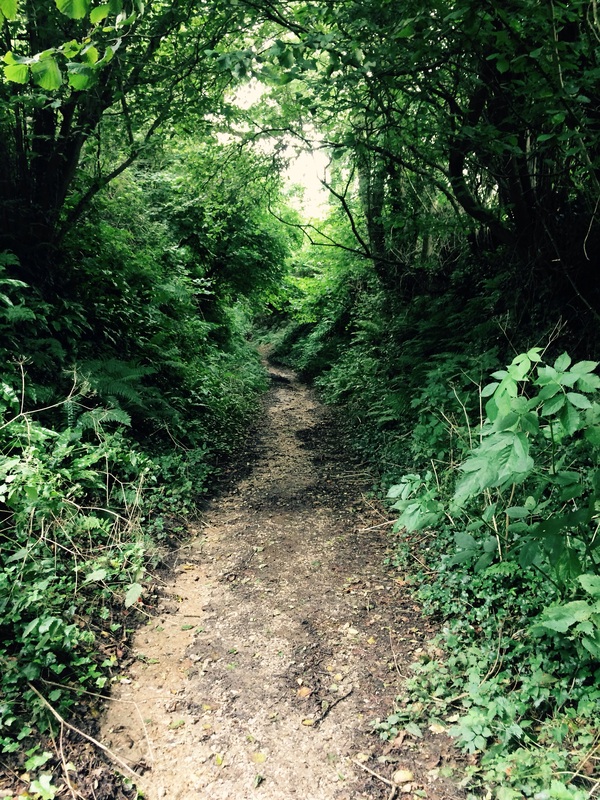 This entry was posted in Caching, Chillerton, DNFs, Geocaching, Isle of Wight, The Ridge and tagged Caching, Chillerton, Geocaching, Isle of Wight, Log Book, Shepherd's Trail, The Ridge. Bookmark the permalink. 2 Responses to Up The Ridge at Last! We’ve done most of this series, back in April 2013. Your post brought back lots of memories … doing #4 and #3 in the wrong order … finding cache containers fashioned out of rubbish … slithering up and down that damn bank looking for an ash tree … and wondering if the cache owners of the IoW spend all winter carving cache containers out of random ‘stuff’!